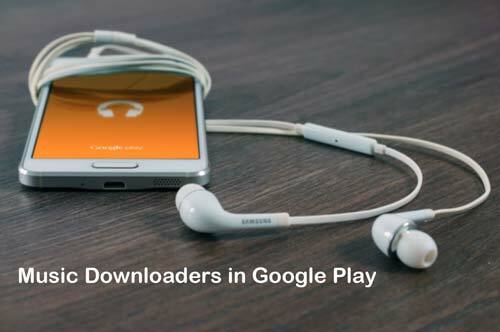 There's an increased demand for Android music downloader apps these days. According to Music Consumer Insight Report 2018, on average, each consumer spends 2.5 hours on music listening every day globally. This is based on consumers aged between 16 and 64 from 20 of the global largest music markets. Among them, 75% of users choose smartphones to enjoy music and 38% like to download music for listening. The market of the global recorded music increased by 8.1% in 2017, according to Global Music Report 2018, and 176 million users have become subscribers for their favorite music apps. That is to say, there are numerous people search for music downloaders every day to obtain music of their favorite. So, what are the best music downloader apps for Android users to get free MP3 music download? Today, this post will introduce you some useful information about music downloaders. As we all know, there are different classifications of music downloader apps. You may see music downloaders sorted by countries, languages, main music genres, usage scenarios, etc. Some music downloaders are in the category of a certain region or language. Usually, such music app offers music services for a specific group of people who live in a similar culture. The app can get the social cohesion of the specific places but often be little-known by people of other places. Then, when someone who keeps the culture of the countries moves to another different culture circle, he or she may learn less about such nice music downloader. For example, Anghami is the Arabic music downloader app whose target users are living in Arabian countries or speak Arabic. Similar to the type above, music downloaders sorted by languages become another barrier. Those who live in Indian and the South Asia countries may be familiar with Wynk, one of the best music downloaders for Hindi mp3 songs and other Indian languages. Some music apps are classified by main music genres, like Stingray Qello (for concerts). When a music downloader or player is designed for specific usage, you may often open the app at an appropriate scenario. For example, running. In this situation, Rock My Run is probably the cool music app. Generally, what most of the music consumers are concerned with is how to find FREE music in MP3 or other formats. In this case, the price is the first factor they focus on. There are myriad music apps marking themselves with a “Free” icon in app stores, but in fact, most of them will ask for payment after you install the music downloader and want to get into some cool features. Here we will simply divide Android music downloaders into two categories: free and priced. In our opinion, once a music app notices user purchase a PRO version or part of the features, it will be classified as “PRICED”. Then, you will some real FREE MP3 music downloader apps or music downloaders not in play store in the following content. It is an undeniable fact that part of the priced music downloaders is in nice UI and comes with powerful features. Also, there is part of apps asks for payments but offers services not that good. We have collected some nice and popular priced apps for music download or play, and if you think they are practical and affordable, just go and try. It is one of the most popular and high-rated music downloaders and players in the Google Play Store, especially in India and Japan now. 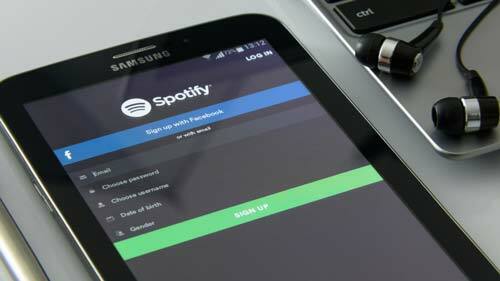 With the Spotify Premium version, users can stream music, enjoy newly released songs and download MP3 with uninterrupted ads. On a mobile phone, Spotify allows users to customize library, check recent playlists and browse other personal media materials. Priced: $9.99 per month for removed ads, songs download and offline listening, unlimited skips, Wi-Fi speaker’s playback, etc. It keeps on the second top popular music app in both Google Play and App Store in 2018. Pandora is the best music app for streaming songs because it can learn about user’s preference - similar artists suggestions, which makes it easy to find new and similar songs of your favorite. Priced: $4.99 per month for Pandora Plus, $9.99 per month for Pandora Premium, and $14.99 per month for Pandora Premium Family; zero ads, music download for offline listening, songs search and play, unlimited skips and replays, etc. If you like to fast forward through songs, then don’t miss SoundCloud, the music downloader with millions of users. SoundCloud, like the apps above, offers free music streaming services and it allows you to listen to music with no account. It provides a music catalog with over 150 million tracks. In addition, you can upload your tracks and share them with the world. A private audio link sharing with others and the real-time stats of the upload are also available on SoundCloud, thus you can always be in touch with your fans. Priced: $4.99 per month for SoundCloud Go, $9.99 per month for SoundCloud Go+; ad-free listening, music download for offline listening on mobile, 30M+ premium tracks, etc. 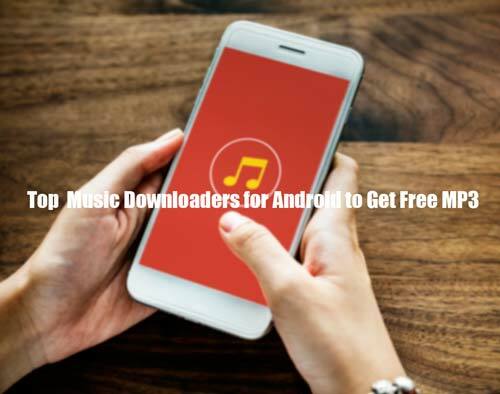 It is a totally paid music downloader app for Android devices but sometimes Google Play Music also allows users to download free tracks or albums. You can play your own music collection you’ve uploaded and stream them anywhere you like. Priced: $14.99 per month for 6 maximum family members, removed ads, music download for offline using, uninterrupted listening, on-demand access to over 35 million songs, etc. This is one of the best MP3 music downloaders that offers high-quality music resources. Though the giant has promoted Amazon Music Prime for those who have Amazon Prime membership, Amazon Music Unlimited, the standalone paid service, offers all Prime Music does and extra features, like 10M+ songs, song recommendations to your taste and additional Amazon Echo commands. Priced: $7.99 per month for Amazon members, $9.99 per month for non-members, ad-free listening, offline listening, unlimited skips, over 10 million songs, etc. Working on the basis of p2p sharing, 4shared is a cloud service app in which users can search, store and share files. So, this app, which provides 15GB to upload music or other files, allows users to download and listen to what others have uploaded. Due to over 5,000,000 tracks on 4shared, the versatile music downloader can peak the popular MP3 downloader. Priced: $9.99 per month for 4shared Premium, ad-free sharing and download, direct download links, 100GB cloud storage, etc. 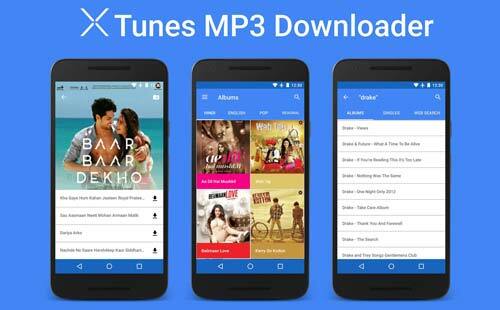 This music downloader provides India’s largest music streaming and download services. With about 2.5 million songs aboard, Wynk Music makes all the songs of Indian style available, including old, latest, Bollywood, Hindi, Tamil, Telugu songs. Hindi music fans can easily find their favorite artists on Wynk Music downloader, like Sonu Nigam, Shreya Ghoshal, Arijit Singh, Atif Aslam and more. Priced: Rs. 99 per month for Wynk Premium (Rs. 49 for Airtel customers), unlimited songs download, removed ads, etc. 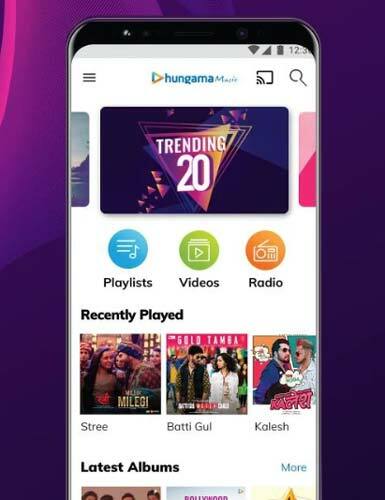 When you get Hungama Music on your Android smartphone, you can access old classics, Hindi MP3 songs, Punjabi songs, International jams and music from International artists in genres. It is a digital music library of 10 mn songs as well as music videos, suitable to match all your music DNA. Priced: Rs. 99 per month for Hungama PRO Music, unlimited songs & video download, removed ad, 3.5M+ songs and videos, up to 5 devices using, etc. With a huge music catalog of 30+ million songs, Napster Music is an uncommon music downloader that is always ad-free in the FREE version. Thus you can be addicted to your music world without any interruptions. Also, the friendly user interface makes it pleasant to use. The music downloader provides 30-second music clips to listen to before you accept the price on the tag and decide to purchase the track. 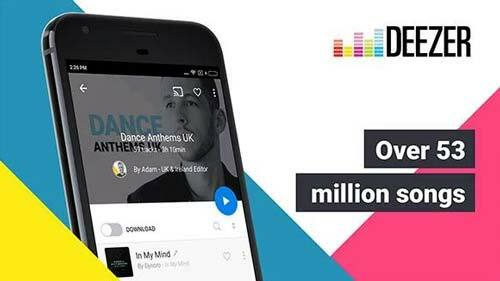 Launched in France, Deezer Music provides over 35 million songs for users to choose from, in which 28 million songs are in HD quality. This music downloader also comes with the latest and top music info. You can download a new single, album or track you're really into right the first time you find it. Besides, Deezer Music is now offering Hi-Fi service on the Google Home family, which make it available for streaming music in lossless FLAC quality. Priced: $0.99 for the first three months for Deezer Premium, $9.99 after the first three months for Deezer Premium, $14.99 for Deezer Family; unlimited new music download on all devices, ad-free music, unlimited number of skips, etc. Though this is an app whose main direction is video download, it can also be used as a music downloader. It has an attractive UI but slower download speeds. The app comes with a built-in MP3 converter that allows you to download music from YouTube. Due to Google Play’s policy, you can not find this downloader in Play Store, but the APK is available from a third-party platform. This is a music app based on the Arabic class, popular in the middle east of Asia. The mp3 music downloader provides mainly Arabic songs, but other types of music are also available with its advanced built-in search tech. 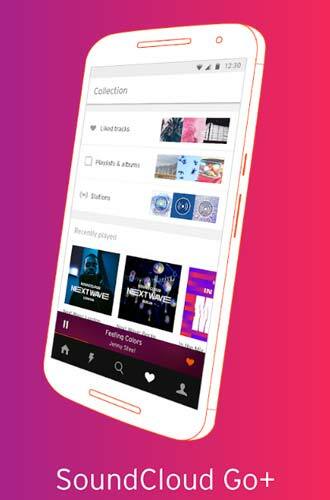 Anghami allows users to create a personalized music library and discover music soulmates through social sharing. 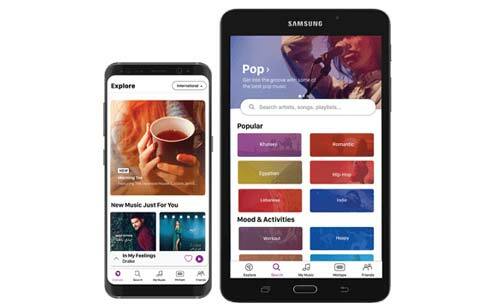 Priced: $4.99 per month for Anghami Plus, $7.49 for Anghami Family Plan; uninterrupted ad-free music, unlimited downloads and play, unlimited songs skip, up to 5 family members, etc. This is one of the best music apps for Bollywood music. The music downloader is available for 30 million songs. With Gaana, you can enjoy the latest songs in Hindi, Telugu, Tamil, Kannada, Punjabi, Marathi, Malayalam, Bengali and more Indian languages. Free: High-quality music streaming, created and shared playlists, updated MP3 songs in over 10 regional languages, free lyrics, etc. As a freemium music downloader, JOOX Music provides most of its songs free but asks for payment for some specific songs in its premium version. It is a streaming service all about local music with an entire Joox library of 3 million tracks. 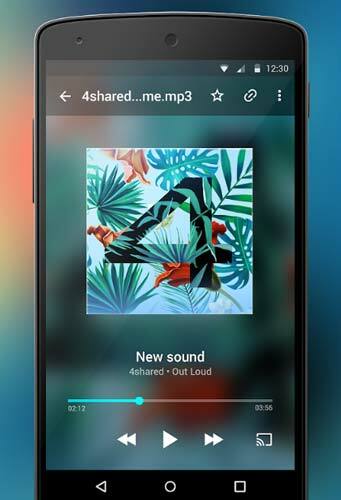 You can add content stored on your Android to this music downloader and get access to all the audio materials in one touch. Priced: unlimited skips, ad-free music, high-quality music streaming, on-demand play, free radio, offline music play, etc. The prices for JOOX VIP Services (Premium) vary from country to country. If you are a fitness fanatic and enjoy yourself in both sweat and rhythm, then Rock My Run is your best music downloader and player when you are in the gym. Rock My Run is the best DJs to react to your body. It is a running music app which requires you to log in and record your exercise beat. The music you play with the app will always cheer you up and you can adjust your footsteps with the rhythm. There are many genres you can choose from during your fitness, including Rock, Pop, R&B, Drum & Bass, Hip-hop/Rap, Latin, Reggae and more. Free: 1,000’s of workout stations streaming, seamless and DJ-curated music, advanced music discovery, GPS tracking, etc. Priced: $2.99 per month for Rock My Run ROCKSTAR, ad-free listening without interruption, unlimited skips, tracks preview, low connectivity listening, manual tempo adjustment, etc. Some free music apps also come with a nice and friendly user interface and fast download speed. It is worth noting that most of the FREE music downloader apps are not available on Google Play due to Google’s terms. But in fact, they are prominent MP3 music downloaders which you should have on your Android smartphone. 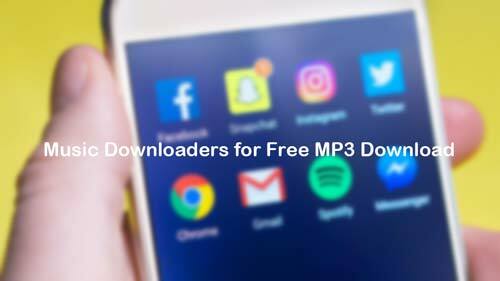 Here is a list of the best free music downloaders that are NOT in the Play Store. If you would like to take an experiment, you can always grab the free APK files for these MP3 downloaders and install them on your phone. 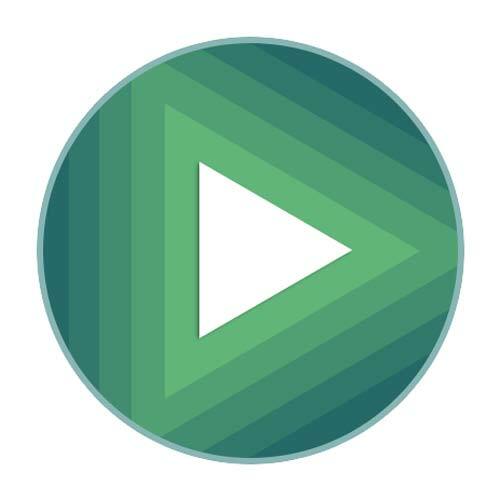 As a totally free video and music downloader, InsTube comes with the interface in youthful vitality and versatile features and get security verification from CM Security and McAfee. It supports videos and songs downloaded from over 100 websites, such as YouTube, Vevo, Hotstar, Vimeo, Facebook, Instagram, Whatsapp, SoundCloud, Tik Tok, Dailymotion, etc. You can take this app as a YouTube MP3 downloader. You can just paste any YouTube video URL in the app to download unlimited and free songs in MP3 or M4A format directly from YouTube HD video or music. It also allows you to hide your private audio or video files with passwords. The app is also available on Uptodown.com as well as CNET download.com. Music Maniac is one of your perfect choices to download free music. The MP3 music downloader is not available in Play Store but it allows you to search for songs of your choice and then download them without payment. Music Maniac also provides ringtone service. You can set the song you have downloaded as your Android phone ringtone. It is one of the cool music downloaders that are not in the Play Store, but this app makes it easy to search, stream and download MP3 songs onto Android. XTunes has separated tabs for regional, pop, English, and Hindi songs and allows you to preview MP3 songs before downloading. Some said this app is not available but we still notice its update info on its official Facebook this year. It is short for Free Video Downloader and you can use this downloader to get unlimited music from other sites with the integrated web browser. It is similar to InsTube and could be an alternative for that. TubeMate is another alternative for InsTube. Not allowed on the Play Store, this free video downloader can also be used as an MP3 downloader, though it comes with a user interface not that attracted. You can download this video app from its official site and other credible platforms. This is a Brazilian radio broadcaster for independent Brazilian musicians. 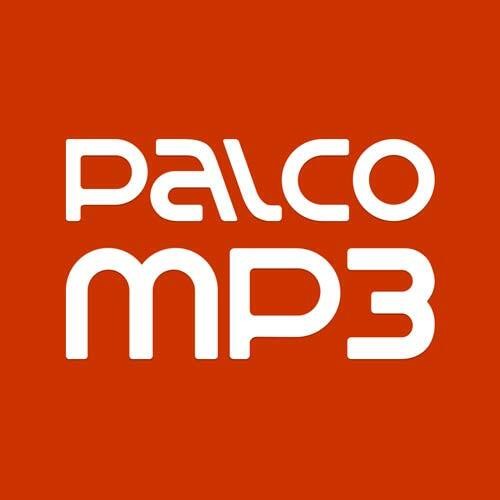 With Palco MP3, you can access over a million songs. The MP3 music app covers a wide range of genres streaming, such as electronica, funk, bossa nova, hip-hop, samba, children's music and more. It also allows you to download free songs onto Android device for offline listening. 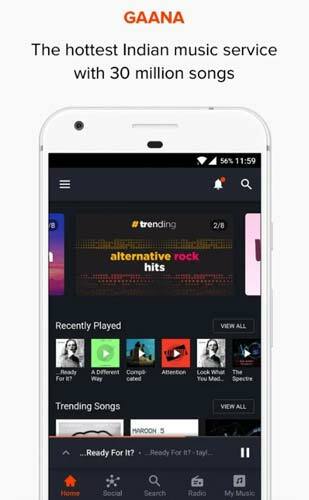 No matter what kind of network you are connecting to, WiFi or 3G, TinyTunes is the free music downloader app that allows you to stream hundreds of thousands of songs from your Android device. With this music app, you can check out the most popular trending artists, create custom playlists, download songs to your phone and listen to them offline. Dood’s Music Streamer is MP3 streamer and downloader which you can download free songs onto your Android so you can listen to them even when there’s no network. 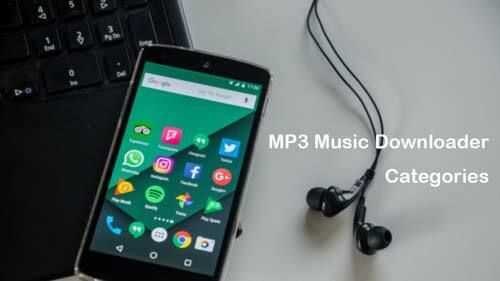 With this MP3 music app, you can search any song or artist you want and tap to download the songs onto your Android unlimitedly. The app not only lets you get your favorite tunes but also gives you the chance to play the files with its built-in player. If you are looking for a free MP3 downloader, then you can try MP3 Music Downloader. This is an alternative app of InsTube music downloader. The app is not available on Play Store but allows you to download movies, music, TV shows, and YouTube videos in a format and quality that you choose. If you want to listen to audio from YouTube but turn off the screen at the same time, then YMusic is your best choice. This YouTube music downloader and player can deal with YouTube video or music in the way you like, such as playing the YouTube audio in the background, streaming YouTube video as a music track, downloading MP3 or other formats from YouTube. Though you can choose whatever you want, what upset you is that this music downloader cannot show the video screen of YouTube. So, all of the above is a list of the popular music downloader apps for Android. You can either choose the apps from Google Play or try the same excellent MP3 music downloaders that are not in the Play Store to see how they work and what the music services they offer. After all, you need the music download application of yours to get your favorite MP3 songs downloaded. It is a pleasure if you bookmark this page or share it with your friends, for we’ll update it when we discovered some valuable and new music downloaders. If you think we’ve missed some useful MP3 downloaders that are worth including in this list, please drop a line below to let us know. 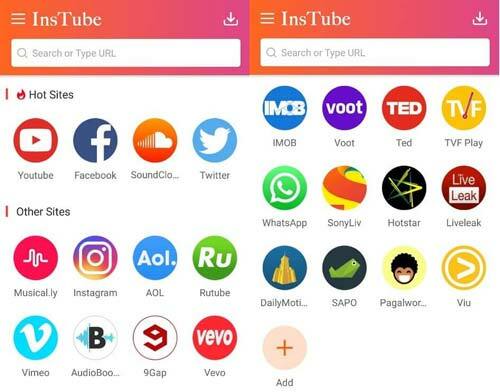 InsTube vs SnapTube: Which Is the Best Music Downloader?